I thought I would give you a glimpse into my makeup bag so you could all see what makeup I use on a daily basis. 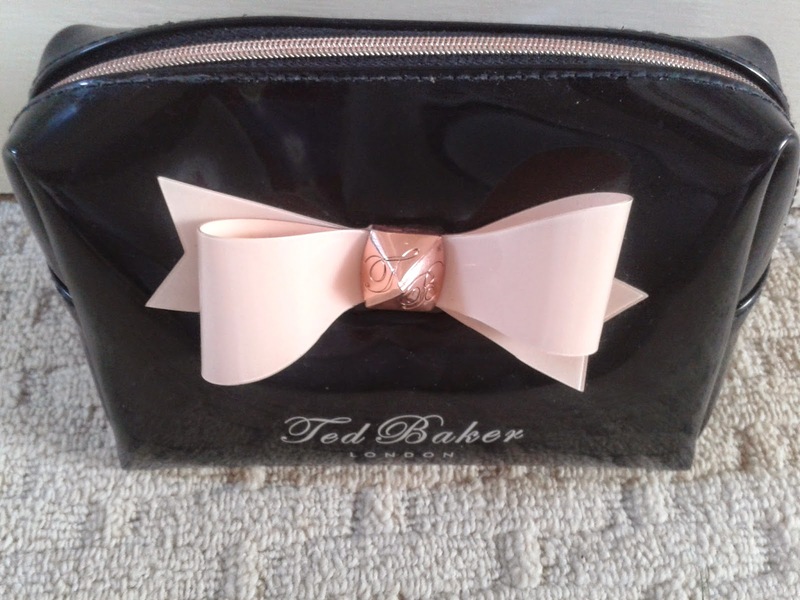 The makeup bag I use is by Ted Baker and as you can see it's black with a pink bow, I love it, it's so adorable! 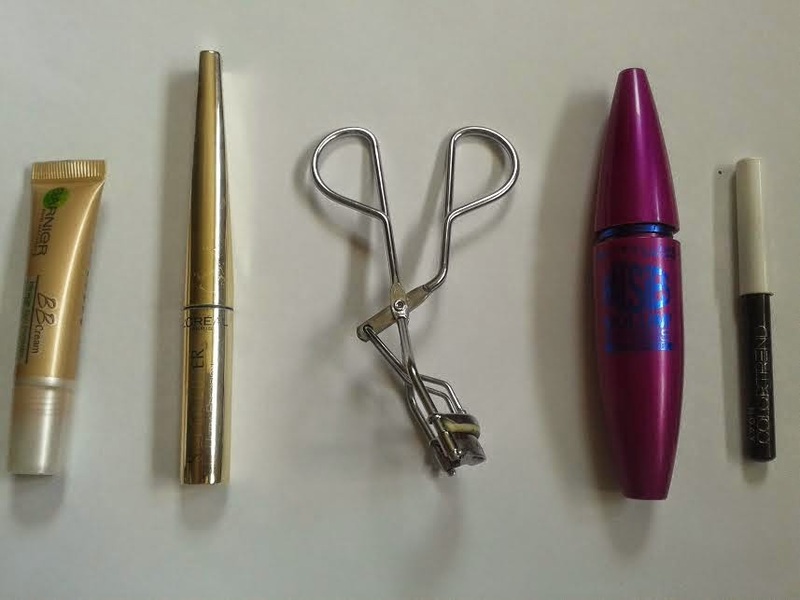 From left to right; Garnier Skin Naturals BB Cream Skin Perfector Eye Roll-On (Light), L'Oreal Superliner (Black), Superdrug Eyelash Curlers, Maybelline The Falsies Mascara (Black), Avon ColorTrend Pencil Eyeliner (Black). 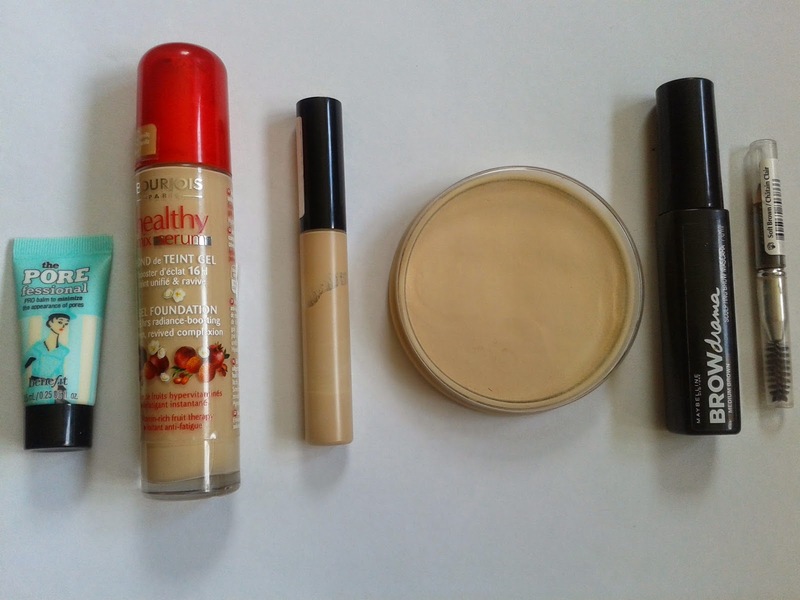 From left to right; Benefit The Porefessional, Bourjois Healthy Mix Serum (52 Vanille), Collection Lasting Perfection Concealer (Warm Medium), Rimmel Stay Matte Pressed Powder (Transparent), Maybelline Brow Drama Sculpting Mascara (Medium Brown), Maybelline Brow Pencil (Soft Brown). 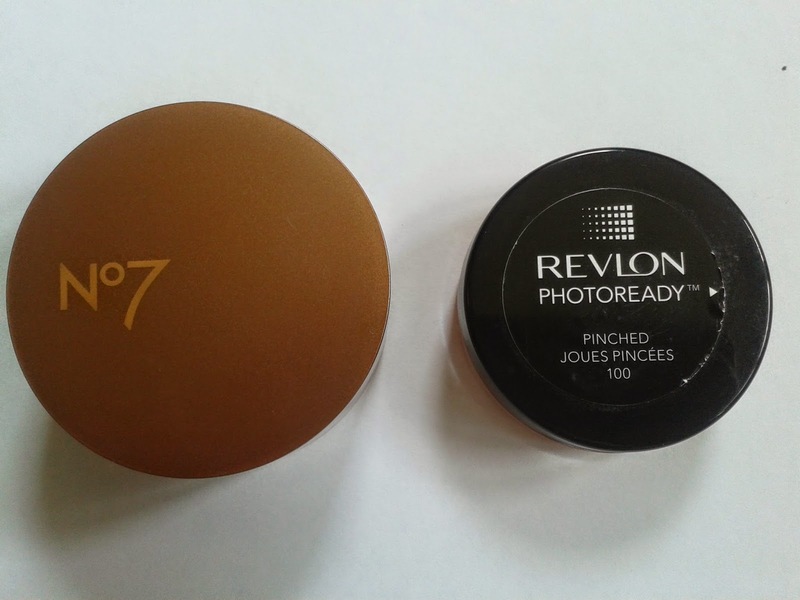 From left to right; No7 Bronzing Beads, Revlon Photoready Cream Blusher (Pinched). I hope this post gave you an in depth look into the makeup I use everyday. Let me know in the comments below or tweet me at @CarrieFi_ if you have any product recommendations?